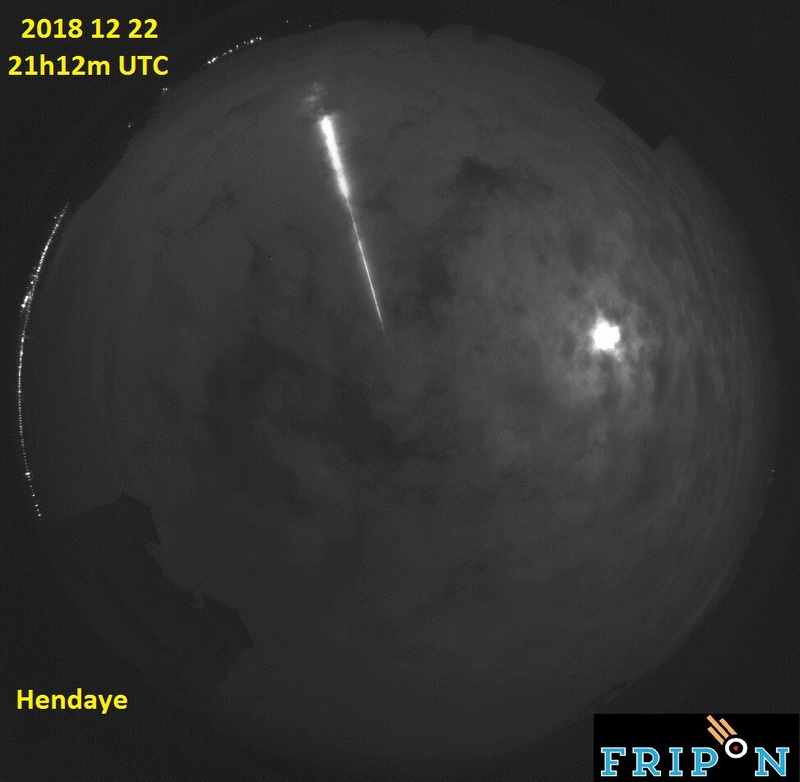 On 2018 December 22, at 21h 12min 00+/-1sec UTC, a very bright fireball (Figure 1) was widely observed and reported by numerous casual eyewitnesses, most of them located in the region of Navarra (North of Spain) and South-Western France. Many of these reported in social networks that the bolide, with green and red colors, was brighter than the full Moon, and also that the meteoroid broke into three smaller fragments along its atmospheric path. Observers located near the central region of Navarra reported a strong thunder-like sound heard some seconds after the luminous phase of the event took place. 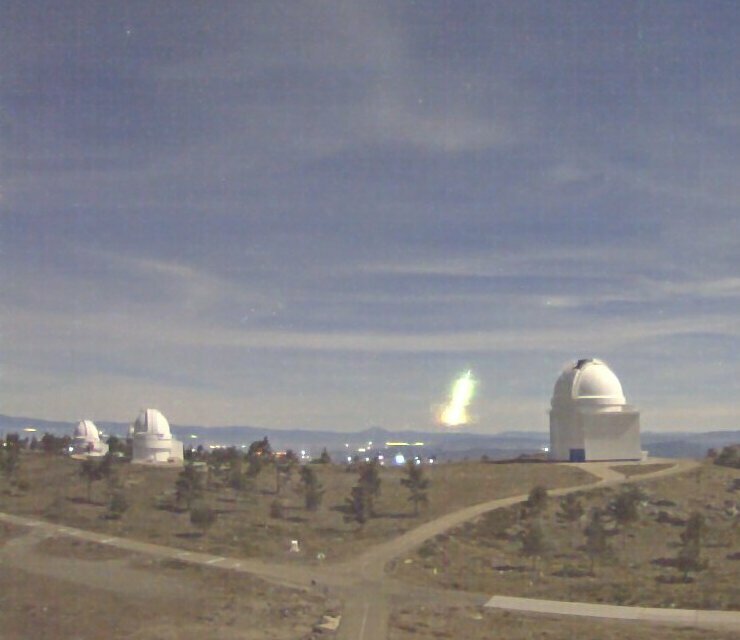 Because of its extraordinary luminosity, the event was spotted by the video camera located at the Calar Alto Astronomical Observatory (Figure 2), which operates in the framework of the SMART project. This observatory is located in the southeast of Spain, at a distance of over 600 km from the area overflown by the bolide. The footage recorded by this video camera confirms the fireball colors reported by the eyewitnesses. Additional images were recorded from different sites, and these were published by most media in Spain. Its atmospheric path was analyzed in the framework of the Southwestern Europe Meteor Network (SWEMN) on the same night of the occurrence of the bolide. By combining the images recorded of this event we determined that the fireball appeared in the images when it was located at an altitude of about 90 km. It moved southwest over the region of Navarra and penetrated the atmosphere till a final height of about 24 km over the south of Navarra. The analysis of the terminal point of this deep-penetrating fireball shows that the meteoroid was not completely destroyed in the atmosphere. Thus, several fragments survived the ablation process and reached the ground. Meteorite recovery expeditions are currently in progress.